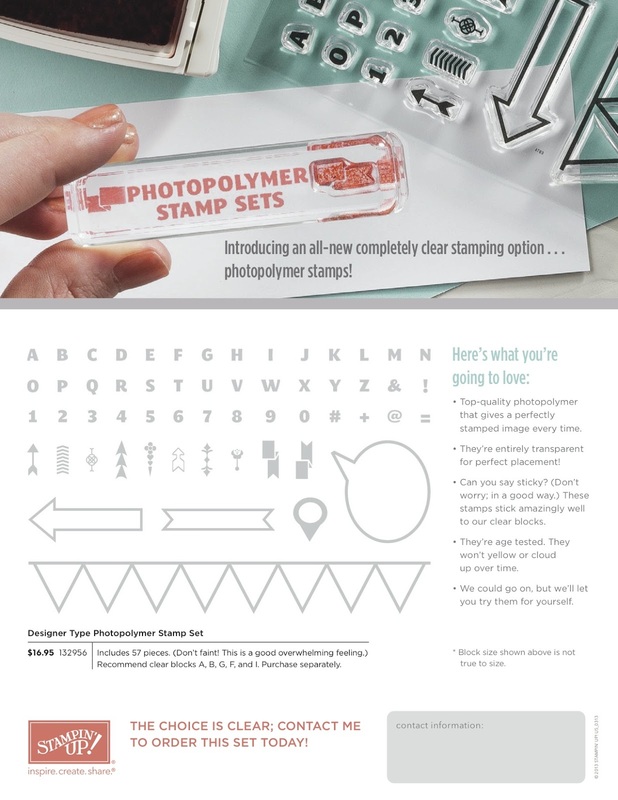 Introducing our newest product, photopolymer stamps! I'm very excited by this! You can purchase our first Photopolymer Stamp set Designer Type by sending me an email or calling me at 289-280-0304. Don't forget you can also shop my online store, 24/7!